Headbone is Coming, this Friday! Tabula Rasa answers a craving many artists have to cross-fertilize in an improvisational setting. The first part, from 6-8pm, is a video and art show, a retrospective of the past five years of staging this experiment. At 8pm the show begins, with seven old time jazz musicians, famous in the local scene, improvising while seven dancers also improvise, a painter paints live, a camera person’s live video is filtered and projected, in a stage-lit warehouse in the middle of Union Square, Somerville. In the second half, those from the audience like musicians (bring your instruments! 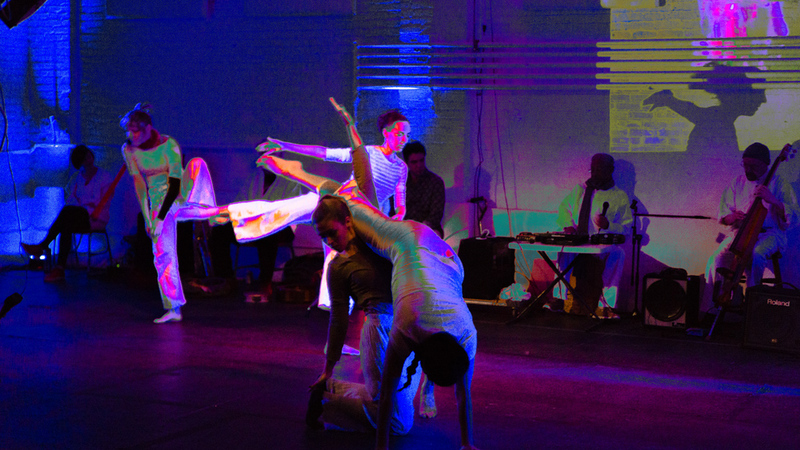 ), dancers, actors or performance artists of any kind are invited to join in the performance. Visual artists are invited to draw or paint at large tables at any time. Beer and wine will be served.